Golden Valley: Long and normally plays against the wind. Keep the tee shot up the left side and try and avoid the ditch with your second shot. 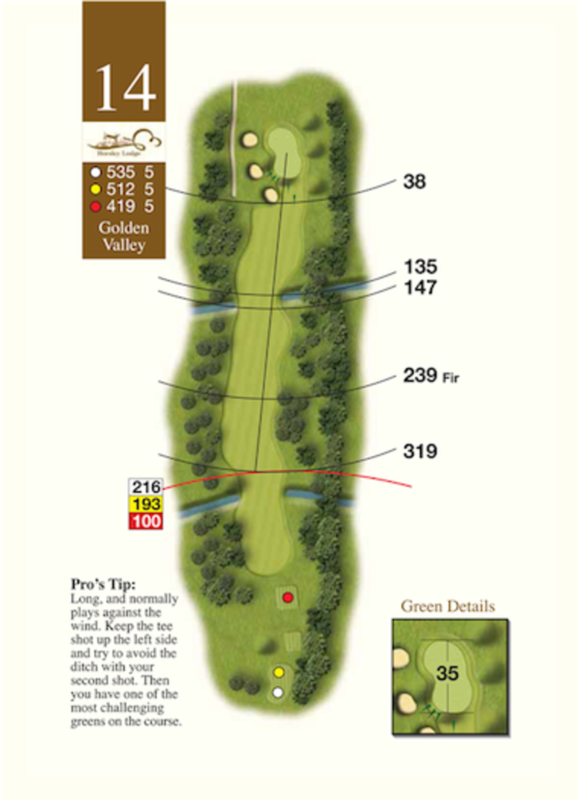 Then you are faced with possibly the most difficult green on the course.